This Christmas you can give the gift of Super Mario Kart instead of Duck Hunt. Nintendo is reportedly coming out with another classic console for the 2017 holiday season, but his time around, it's a miniaturized version of the Super Nintendo. 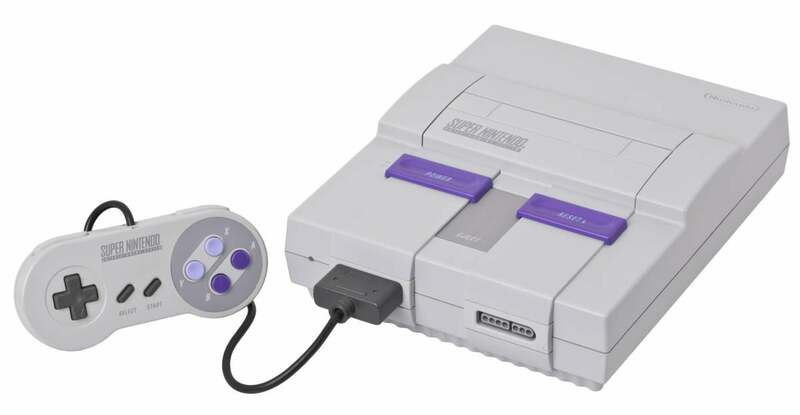 Eurogamer, which usually has impeccable sources for these things, says Nintendo is working on a mini SNES to launch around the holidays, just like in 2016 with the NES Classic Edition. There isn't a lot known about Nintendo's plans other than it's developing a retro version of the SNES. As with the NES Classic, the mini SNES will come rocking a replica controller and preinstalled games. The NES Classic came with 30 games. It's not clear if the mini SNES would come with an equal number of titles, or perhaps more. The story behind the story: Whatever Nintendo's plans are, don't expect the mini SNES to be available for more than a few months. In fact, I wouldn't be surprised if Nintendo's explicit about how long you'll be able to buy the mini SNES. Many retro gaming fans were crestfallen when Nintendo announced the NES Classic would be discontinued by the end of April. Nintendo said it never meant the NES Classic to be a long-term product. Instead, it was supposed to be a limited edition treat for fans to grab during the holiday season. It only ended up being available for a bit longer due to the surprising popularity of the device. A mini SNES would likely prove just as popular as its NES predecessor—perhaps even more so thanks to the legion of popular SNES Nintendo games such as Super Mario World, Super Mario Kart, Perfect Dark, and Donkey Kong Country. If this turns into an annual tradition for the company, then I'm waiting for the mini N64 in 2018, but that's just a-me.